Introducing The Kip District Phase 2. A community you’re always happy to come home to. Whether you want to kick back and enjoy local life or move around the city, this is a progressive neighbourhood just steps from transit. And with the first phase now sold out, the community is unfolding fast. 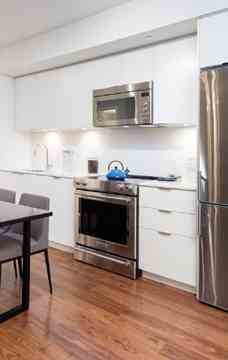 If you want quick commutes, great amenities and local flavour, this is where life starts. Step into your kitchen where quartz countertops, polished chrome fixtures and contemporary appliances create a simple and elegant focal point. Spa-like bathrooms feature cultured marble countertops, chrome accent lighting as well as large-format porcelain tile flooring with matching tub and shower surrounds. These elegant spaces are complemented by thoughtful details and a naturally-inspired colour palette. Here is a home that truly feels like your own. 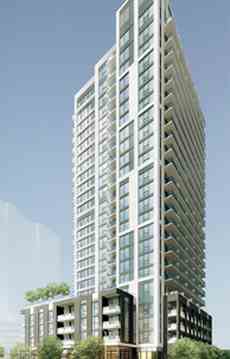 The Kip District Phase 2 is a condo development by Concert located at 5365 Dundas Street West, Toronto. The Kip District Phase 2 Condominiums is steps to Kipling Station at Kipling and Dundas and within easy access to choices in recreation, entertainment, services and shopping.